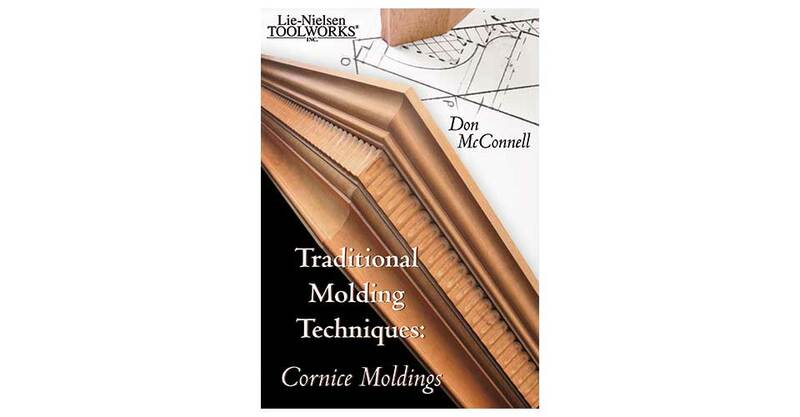 Extensive research and personal experience building furniture with traditional tools has taught Don McConnell forgotten methods of making cornice moldings with simple hand tools. Using rabbet planes, snipes bills and a few hollows and rounds, Don shows you how. For a detailed review of this DVD, click here. 71 minutes, Lie-Nielsen Toolworks Productions, 2009.